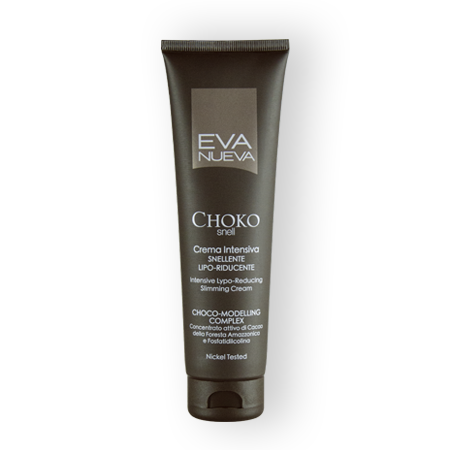 Contains: Grape Seed Oil, Cocoa Butter, Caffeine, Phosphatidycholine, Cocoa Extract, Nicotinate, Theobromine. 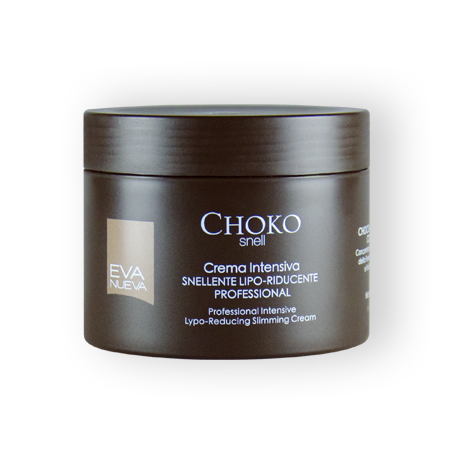 An extremely effective cream with a long-lasting action, which combats local adipose tissueto remodel the silhouette. When it is massaged onto the skinthe intense aromas of cocoaare released for a totally pleasant and relaxing break. Formula with the exclusive Choco-Modelling Complex, formed of the active concentrate of cocoa from the amazon forest, phosphatidycholine and nicotinate. USE: apply once a day to the zo-nes being treated and massage until it is completely absorbed, concentrating on the more critical zones. To boost its effect, we recommend using the PROFESSIONAL ACTIVE SLIM- MING GEL first. WARNING: if the skin is slightly sensitive, it could be subject to reddening or heat in the areas that have been treated. These are normal sensations causedby the active ingredients. Avoid contact with the eyes and mucous areas. Wash your hands well after use.